Attendance at camp is required. Your singer's camp date has been set for months and communicated to you when you received your registration forms. A lot happens at camp--thank you for making it a priority! If you have an immovable, unavoidable conflict, including a late arrival or early departure, we thank you in advance for communicating those details to us via the on-line absence form linked at the top of this email and found on the Members page of our website. We have a variety of volunteer opportunities and hope many parents will consider joining us on camp day! (We need you!) Click the Join Us button to volunteer. If you have a younger singer in your family (age 7-10) interested in enrolling in our fall introductory choir program, we encourage you to register as soon as possible as our sessions are starting soon (and are filling!). Classes begin next week and are offered on Sunday afternoon or Tuesday evening for ten weeks. Registration is open on our website! We're excited to continue our partnership with Just Coffee Cooperative this season! Coffee will be available to purchase on a monthly basis October - March. We will publish the due dates here and coffee will continue to be available for pick up at weekly rehearsals. Families receive $5 toward their fundraising contribution goal for each bag of coffee sold. A few details to note: Just Coffee has simplified their product offerings this year and will no longer be selling tea to fundraising customers. (Sadness!) However, coffee orders will enjoy a shorter wait between input and delivery giving us more flexibility to add requests to our monthly orders while getting the freshest possible roast every time! And! Prices have gone down! (Win!) Purchase for yourself or sell to friends--the price can't be beat. Join the Festival Choir of Madison on their October concert! 1. Follow this link to our website. Download the .PDF of the music, click on the YouTube video to see a performance, and learn the solo well. 2. Audition. Come to Westgate Studios (Studio 4) on Monday, September 26 at 7:30pm. Mike and Lisa will hear potential singers. IMPORTANT: Please email Mike to reserve your time. 3. Make sure your singer is available for both the dress rehearsal (evening of Friday, October 28) and concert (Saturday, October 29). Tuition statements will be emailed to families this week who have a balance or who have had recent fundraising activity. (Taste of Madison hours have not yet been reported to MYC.) Families paying in installments have a payment due by September 19. Thank you for your timely tuition payments! 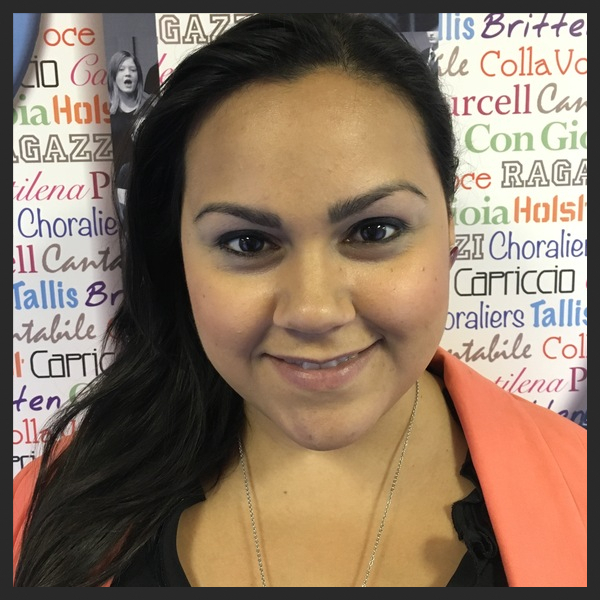 Say hello to Yanzel Rivera-Otero our Bolz Center for Arts Administration intern for the entire 2016-17 season! Yanzel is a DMA candidate in vocal performance at UW-Madison as well as a student at the Bolz Center working on her arts administration minor. She's looking forward to being part of the MYC community this season and we're happy to be working with her! Please introduce yourself (in either English or Spanish!) when you see her in the office or at rehearsals. Check out Madison Magazine's poll for your favorite in every category including Youth Performing Arts Group under Arts and Entertainment. Voting ends October 20 and you're free to vote once per day.